WINSTON-SALEM, N.C. – The Winston-Salem Open at Wake Forest University announced today the player field for the tournament, which will be held August 22-29 at the Wake Forest Tennis Complex adjacent to BB&T Field. The field of competitors announced thus far will occupy 38 of the slots in the tournament’s 48-player singles draw. 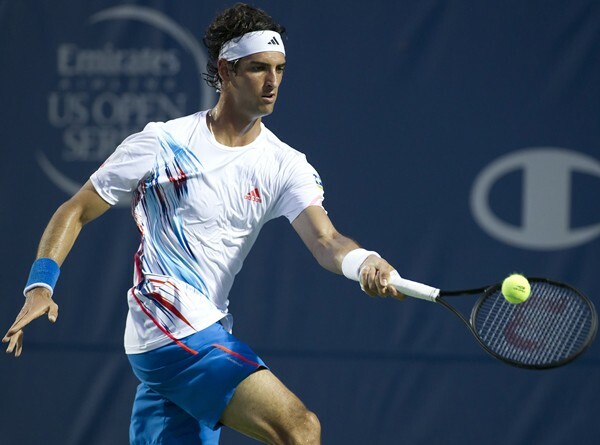 In addition to previously announced fan favorites Jo-Wilfried Tsonga, David Goffin, Sam Querrey, Viktor Troicki, Guillermo Garcia-Lopez, Steve Johnson, Alexandr Dolgopolov and Juan Monaco, this year's field also includes Winston-Salem Open defending champion Lukas Rosol and top 40 players such as Roberto Bautista Agut, Pablo Andujar Sam Querrey and and Boma Coric. All 38 players currently slated to compete in the Winston-Salem Open are ranked in the top 74 in the world. The highest ranked player announced thus far who will compete in Winston-Salem is Tsonga, currently ranked No. 12. He fiercely competed in the semifinals at the French Open but lost to eventual champion Stan Wawrinka in four sets. The remaining 10 spots in the field will be determined in August. Of those 10 spots, four of them will come via wild card entries. Previous wild card participants have included Andy Roddick, Tomas Berdych and Ryan Harrison. Additionally, there will be an additional field of 16 doubles teams to be named closer to the tournament. Oakes noted that two of the players – Andujar and Robin Haase – have played in every Winston-Salem Open since the inaugural tournament in 2011. Nine additional players are making their fourth appearance in the Winston-Salem Open. There also are nine players making their local debut at this year’s tournament. A complete list of the players accepted to the 2015 Winston-Salem Open can be found below.